YUZHNO-SAKHALISNK, April 14. /TASS/. Washington won’t slap economic sanctions on Russia’s RD-180 rocket engines as the US rocket and space industry depends on the Russian equipment, Deputy Prime Minister Yuri Borisov told "Moscow. Kremlin. Putin" program on Rossiya-1 TV channel. "Why should they impose sanctions on the engines if their space program depends on them? 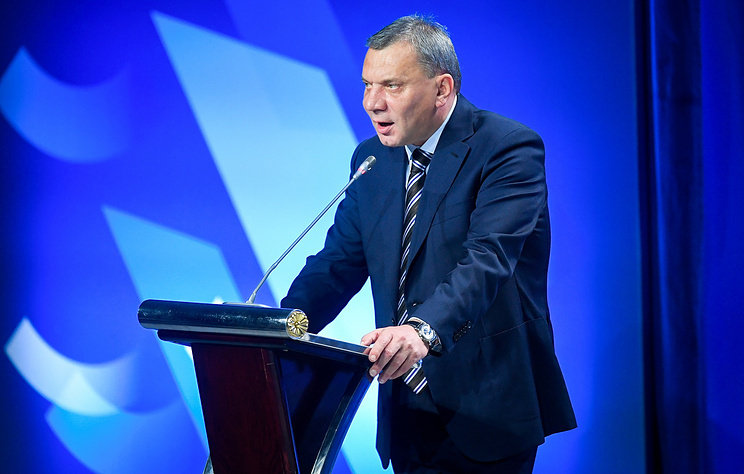 They are not crazy in this respect," Borisov said, when answering a question why the expansion of anti-Russian sanctions does not target rocket engines. Earlier, Chief of the US Space Command Gen. John Raymond told the US House of Representatives' committee that the US Armed Forces would give up Russia’s RD-180 by 2022. Moscow and Washington signed the first contract on delivering 101 RD-180 engines in 1997 to the tune of $1 bln. In 2014, the US Congress imposed a ban on the use of RD-180 engines amid a deterioration of the relations with Russia but lifted it in 2015 when it became clear that the United States would be unable to produce its own engines in the next few years. In 2016, the US placed an order with Russia’s Energomash Research and Production Association (the manufacturer of space rocket engines) for an additional 18 RD-180 engines. It was reported earlier that Energomash had concluded a contract on the delivery of six RD-180 engines to the United States in 2020.